The Yamaha PM5D RH is the perfect kit for your digital live mixing. The Yamaha PM5D RH offers extraordinary sound and versatility in a small, lightweight system that is easy to use. The Yamaha PM5D RH delivers unmatched sound, control without the need for additional outboard processing equipment. It integrates seamlessly with digital systems to enhance the overall sound production, both from an input and output perspective. 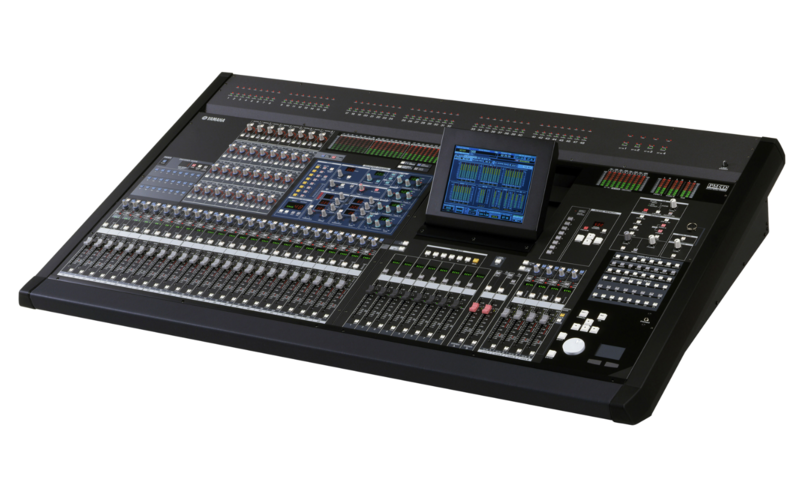 Production Hire offer a Yamaha PM5D RH for dry hire to support your live music event. – 48 mono and 4 stereo inputs, 24 mix buses and 2 stereo outputs, and 8 matrix outputs (expandable). – Custom “DSP7” LSI for ultra-high-speed 96-kHz/32-bit processing. – I/O capacity and functionality can be doubled or tripled by adding rack-mountable DSP5D Digital Mixing Systems. – Easy “virtual soundcheck” with individually assignable channels. – Built-in VCM (Virtual Circuit Modeling) effects offer perfect simulations of classic signal processing gear. – 8 high-performance multi-effect processors and 12 graphic equalizers built in. Call or contact us for your free no obligation quote regarding Yamaha PM5D RH dry hire. One of the Production Hire team will be happy to help.